NAPA is an acronym of National Automotive Parts Association founded in 1925 with an aim to provide a better auto parts distribution system in America. According to one survey, 91% customers prefer NAPA for almost all types of automotive needs. NAPA AutoCare is one of the largest networks providing automotive repair and maintenance in almost 14,000 locations in North America. It provides ASE certified independent mechanics even for routine checkup or major repairs of your vehicle. Generally, NAPA carries out automotive replacement parts, paint and refinishing supplies, automotive accessories, farm and marine supplies, tools and equipment, and heavy duty parts. NAPA has become the demanding auto parts distribution system having 6,100 stores across the USA. 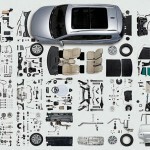 It is known for its unique inventory control system that helps you to find the exact auto parts you are looking for. With the collaboration of Genuine Parts Company, NAPA goes beyond boundaries to serve Canada, Caribbean and Latin America, Australia and New Zealand. How NAPA Make Together All After Market Professionals? NAPA EXPO event attracted around 18,000 vendors, employees and store owners by organizing trade shows, informative seminars, entertaining and inspiring speakers and appearances of TV show personalities and professional racing drivers. Using NAPA EXPO exhibit floor many auto parts suppliers, tools and equipment manufacturers get a platform to show off their latest products and services. The event also made an arrangement of educational seminars on different topics for enhancing the knowledge of all NAPA event members. It also include the role of social media sites like Instagram and Facebook that help NAPA to find new business and better serve existing customers. The main attraction of the event for NAPA store owners is an arrangement of direct marketplace where they can place their orders. In brief, NAPA EXPO 2015 was an inspiring event for NAPA store and NAPA AutoCare representatives. How NAPA Useful in After Market Parts selling? As an effort to increase aftermarket parts selling NAPA offers several shop management and technical software tools such as, NAPA PRO Link, NAPA TRACS, NAPA IBiz, etc. It helps NAPA store owners to become more efficient and streamline their business process. According to the 2015 NAPA/ASE Technician of the Year, Tom Palermo; NAPA has immensely increased my business by providing opportunities like NAPA Auto Training Classes, NAPA Service Assistant and Autocare program. It helps my business to bolster our marketing, training, networking and promotion efforts which bring more business and result in increased sales. 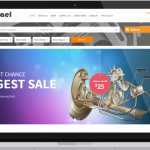 We’re glad you like the site and our hope is that our blog will be a great addition to heiplng you learn more about Transtar and the automotive aftermarket industry. If you have any suggestions or ideas for topics, let us know!